Three of my favorite non fiction books in my collection. It is not a coincidence that they are all small in size, as that is one of the things I love about them. 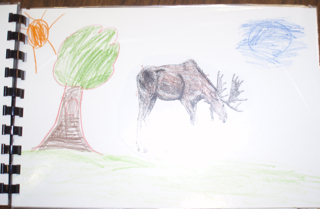 Animals in Winter (1985) written by Catherine de Sairigne and illustrated by Agnes Mathieu, is part of the Young Discovery Library collection. 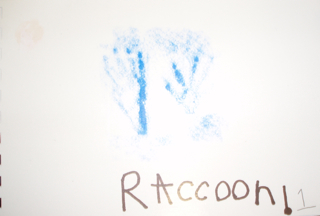 It is a book about animal habits, hibernation, and the behavior of a variety of animals, including birds, bats, bears, and frogs, in the winter. The illustrations are beautiful, offering labeled diagrams, cutaways, and block diagrams, all serving as comprehension support and adding to the appeal of them. I think this book is out of print, but you will find your favorite mentor text for non fiction as you go along. 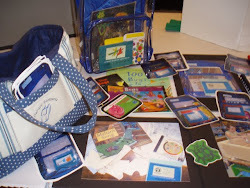 I recommend the web site Visual Literacy K-8 to help understand how non fiction access feature and visual literacy support reading comprehension and build schema. Also Steve Moline's book I see What you Mean is one to check out. What's in the Tide Pool? (2000) by Anne Hunter is a little square book that uses each page to introduce a Tide Pool creature, with a close-up illustration and a vivid and informative short description. Learn about the Blue Mussel and what makes it a bivalve, how a Herring Gull might eat a sea urchin it finds stranded by the outgoing tide, or how the Periwinkles survive the tides, both low and high. The vocabulary would serve an ocean study proud. Fawn at Woodland Way (1994) written by Kathleen Weidner Zoehfeld and illustrated by Joel Snyder, is part of the Smithsonian's Backyard collection. Learn about a young fawn and her mother, lured by the sweet smell of lilacs, and startled by a creaking door. 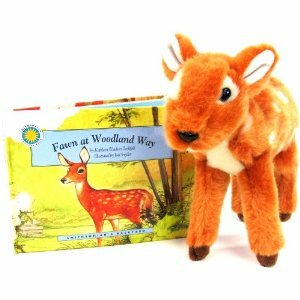 This is available at Amazon and so is the adorable stuffed fawn! There are numerous books in the series about animals, from Box turtles to Bumblebees, for your learning fancy. 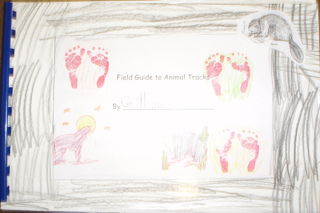 After learning about Guide Books, kindergarten students made their own Field Guide to Animal Tracks, as a way to gain experience writing non fiction. These are the covers. 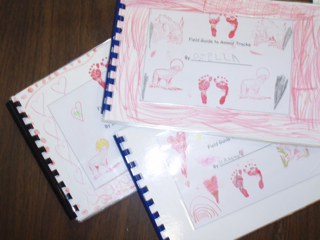 Students learn that End Paper / End Pages can serve as a beautiful decorative page, but they can also help establish content, help extend the thinking beyond the text, and act in a variety of ways. 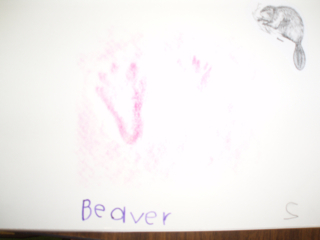 I notice a Label, crayon rubbing image, black & white picture, and a page number, all for the Beaver page. 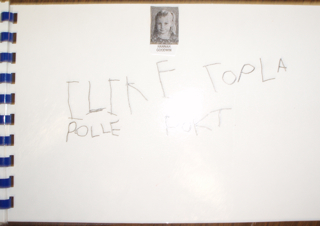 This 5 year old writer is demonstrating how access features support content and comprehension and gaining experience using them in their own writing. Table of Contents Page. 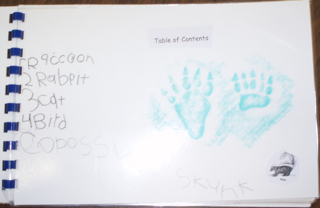 "If I wanted to learn about cat tracks, what page would I go to?" 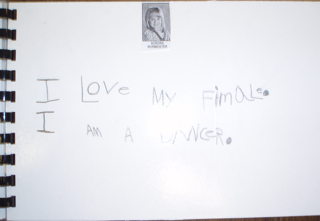 asks the teacher as a way to assess knowledge of a Table of Contents (an important non fiction access feature). Count me as your newest follower. I found your blog on ProTeacher. I love the book reviews. I just wrote a MG novel called HISTORY QUESTERS: COLONIES TREK that combines history and Literacy concepts that I hope to have published soon. Perhaps you can review it someday. Please visit my new blog at http://www.historyquesters.com. I am trying to build it. Hi Debra, your topic sounds very interesting! Congratulations. 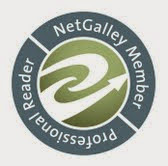 Thank you for following my blog,and I appreciate your comment too. Off to check out your site!